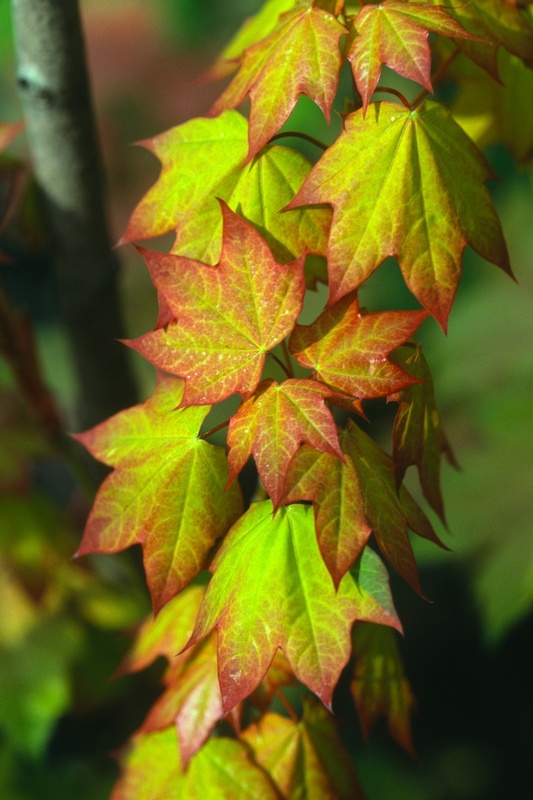 The December 14th web log featured species of maples named for people, part 1, and today we'll conclude. Previously I discussed Acer shirasawanum (Homi Shirasawa), Acer x freemanii (Oliver Freeman), Acer maximowiczianum (Carl Maximowicz), Acer davidii (Armand David) and Acer fabri (Ernst Faber). 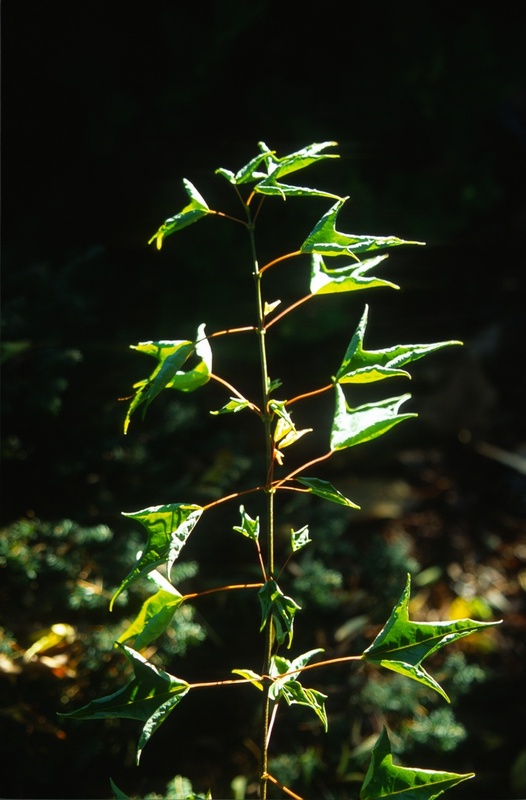 The first person to discover or describe a plant gets the naming rights (which is why the "splitters" in botany are so active -- they'll then have their name published next to the plant for all time). 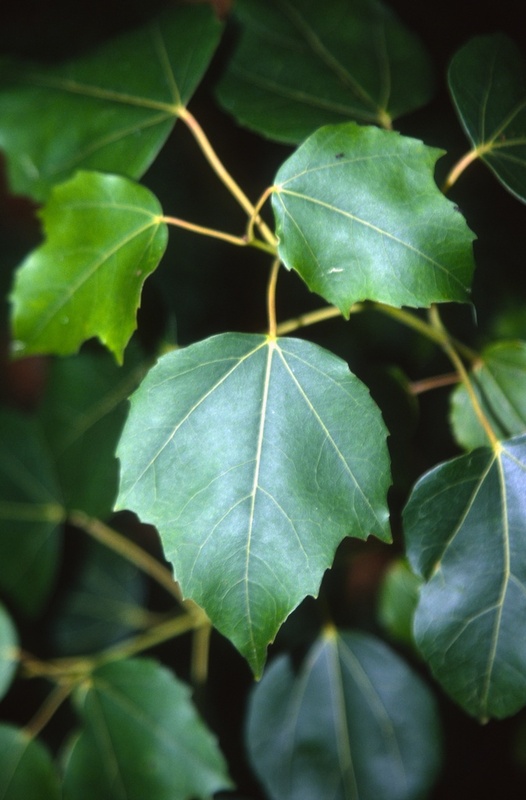 We saw last week that Carl Maximowicz named Betula maximowicziana for himself, while Acer pictum was named in his honor by someone else. 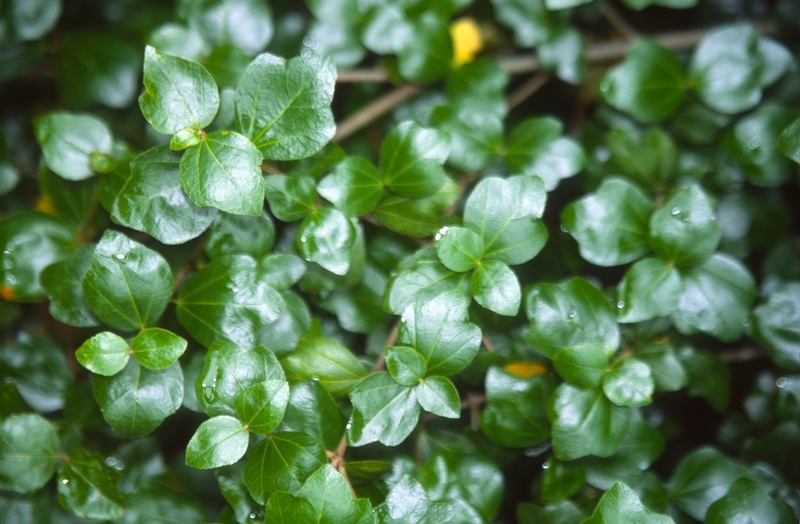 He first described and named over 2,000 plants, so you'll usually see Maxim after the Latin species name. That's why you find Buchholz after Sequoiadendron giganteum, because John Theodore Buchholz was the botanist (from the University of Illinois) to first segregate the species giganteum from sempervirens. In Hillier's Manual of Trees and Shrubs, Buchholz is spelled incorrectly with only one "h," possibly because the British are still seething that Wellingtonia was not accepted as valid for Sequoia. 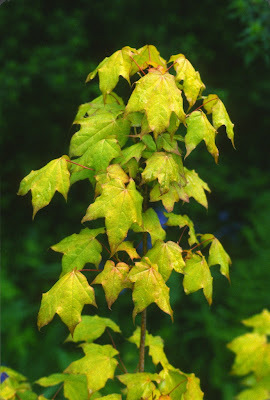 But back to maples, beginning with Acer buergerianum, the "Trident Maple." It was named for Heinrich Bürger, a German physicist, biologist and botanist. Although he didn't describe plants, he nevertheless collected new species from Japan and sent them back to European universities. Those who worked on his collections named several plants for Bürger, such as Acer buergerianum, Azalea burgeri, Anthurium burgeri and Euphorbia burgeri. 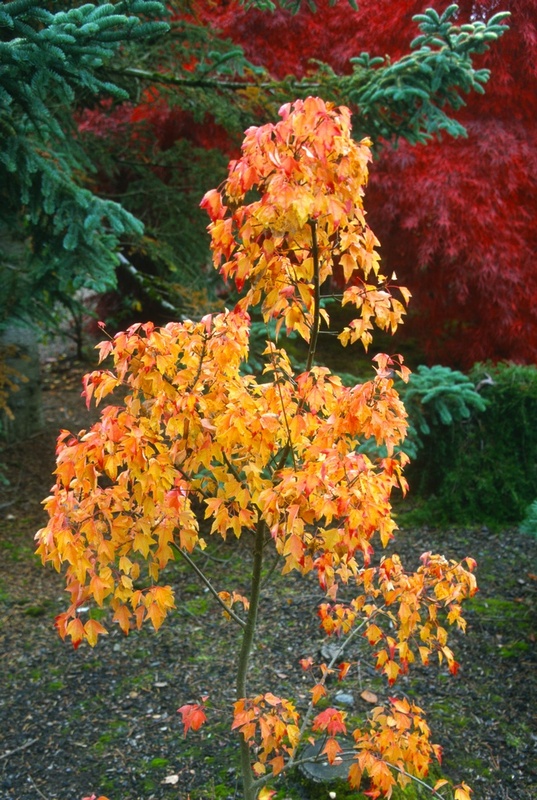 Acer buergerianum will form a medium-size deciduous tree with a dense bushy canopy. New growth in spring is reddish but soon develops into rich green. 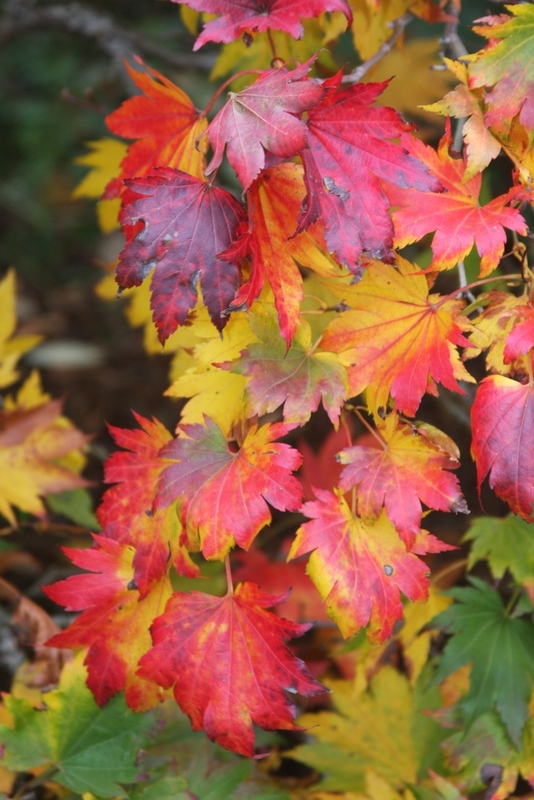 Fall colors can be fantastic, with yellows, oranges, reds and purples, often at the same time. 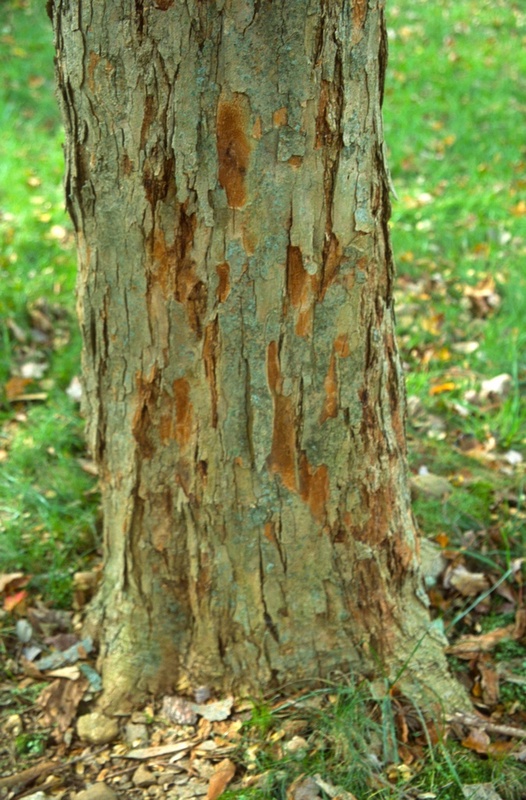 The trunk is attractive, especially in winter, with flaking strips of gray-brown bark on old specimens. 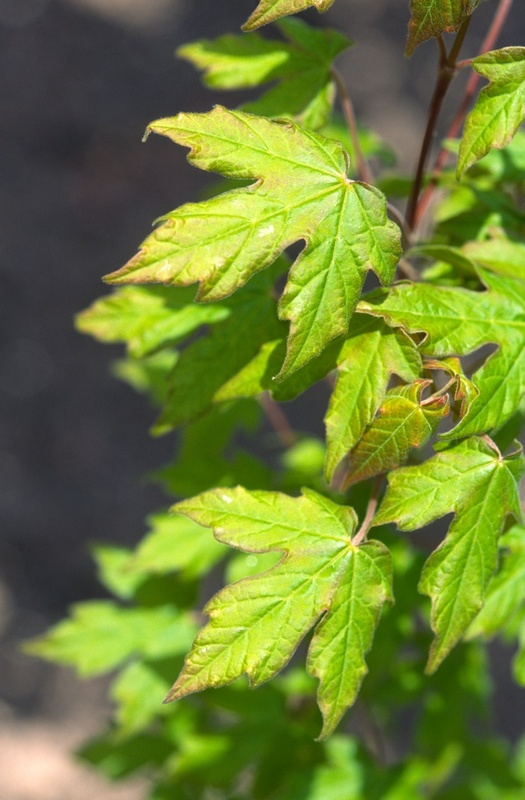 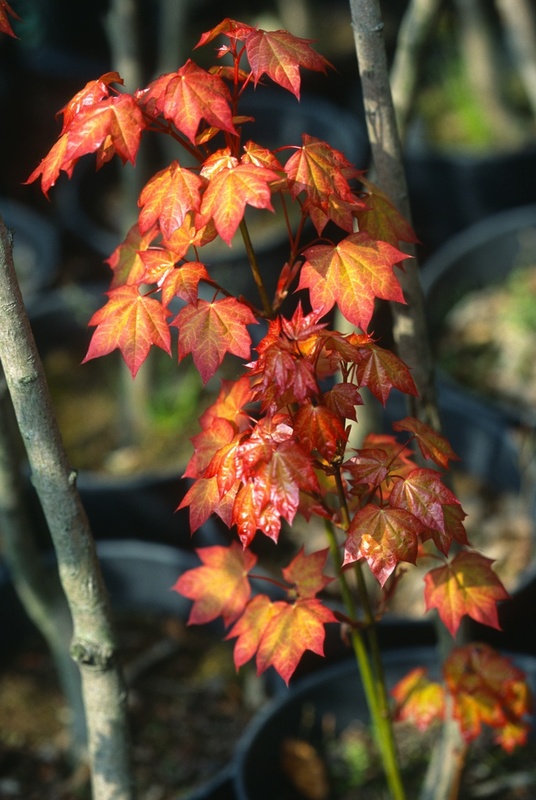 Acer buergerianum can be propagated by rooted cuttings under mist in summer. Grafting of cultivars onto buergerianum, whether in summer or winter, is not highly successful for us, but the demand is always great when we do have some. Another drawback is that the variegated cultivars can be unstable, at least in our growing conditions. 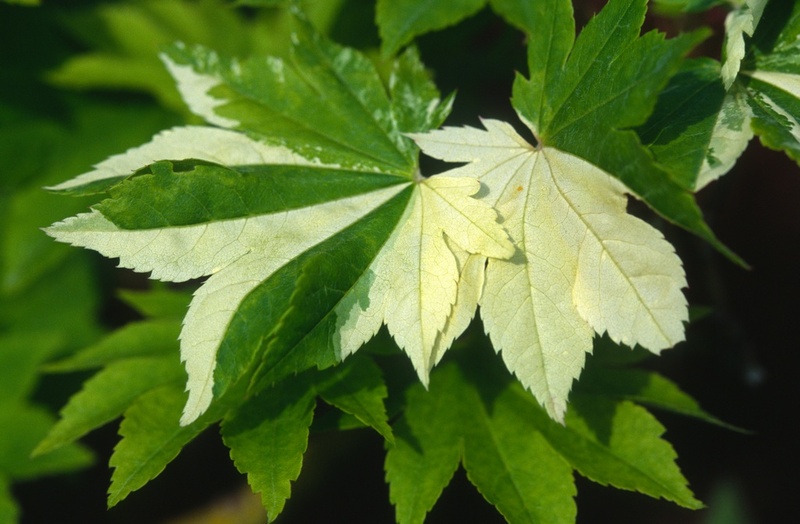 I'm always impressed, however, with 'Wako nishiki' which begins with white new growth, but then fortunately evolves into green before the summer heat arrives. 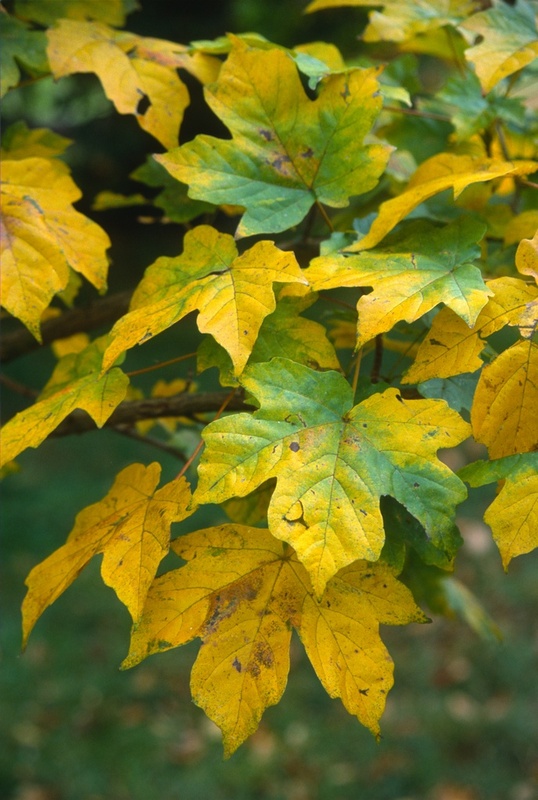 Fall color is yellow-to-orange. 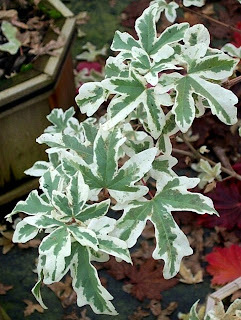 'Hana chiru sato', 'Hime toyo nishiki' and 'Tricolor' are very different variegated cultivars, but each has its appeal. 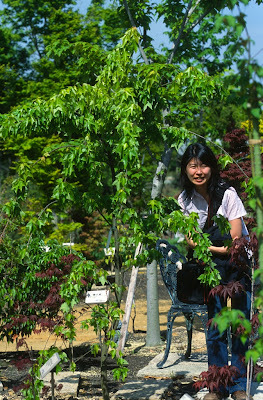 Acer buergerianum 'Angyo Weeping' forms an umbrella if staked, and the photo above shows a specimen in Japan with my wife underneath. 'Miyasama yatsubusa' ("dwarf prince") is a compact dwarf upright and looks especially nice with fresh leaves in spring, and is popular with bonsai enthusiasts. 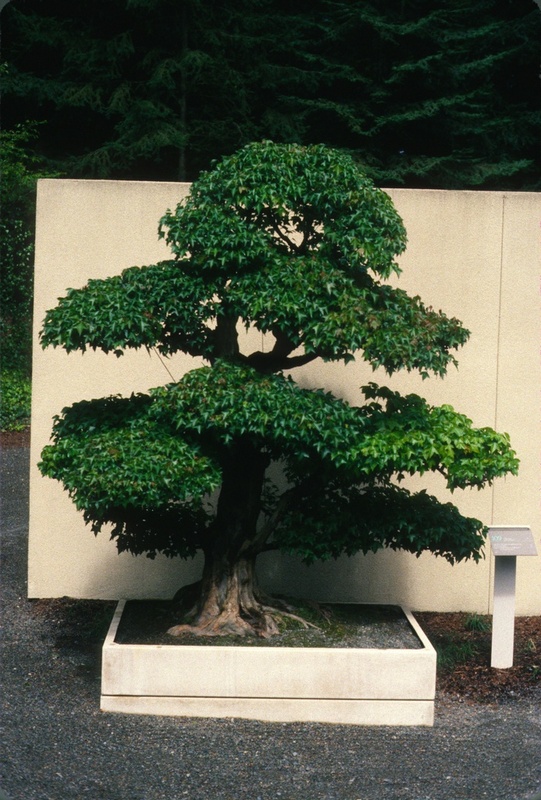 'Mino yatsubusa' features narrow lobes with the center lobe longer and tapering to a point. 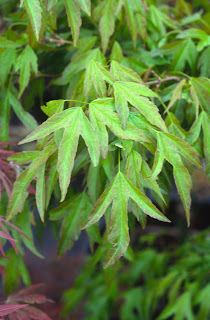 'Naruto' has similarly-shaped leaves, but the three lobes are rolled over, which reveals the pale undersides, as does 'Tancho' (if they are indeed different cultivars). 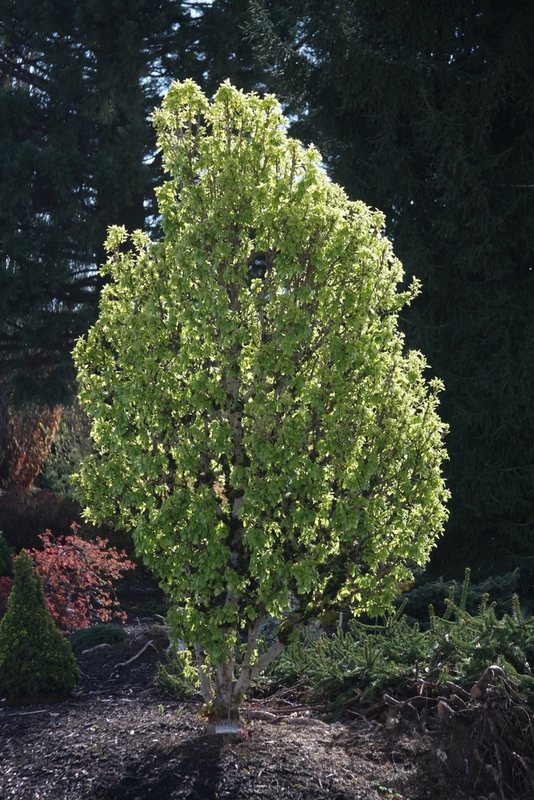 'Street Wise' has a goofy name, but it is tough enough to serve as a "street tree," and has a compact oval canopy. Acer buergerianum ssp. 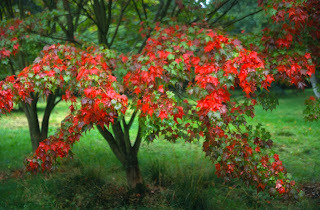 ningpoense is native to a region in southeastern China, site of the Battle of Ningpo where the British whipped the Chinese in the First Opium War. 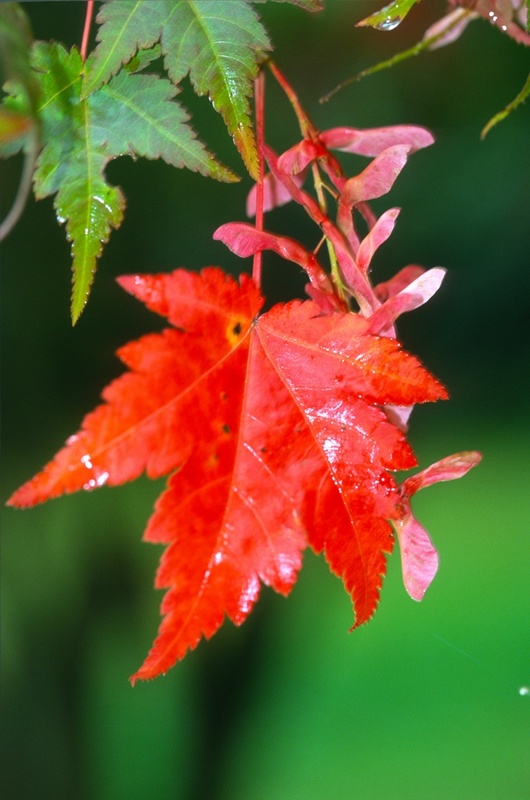 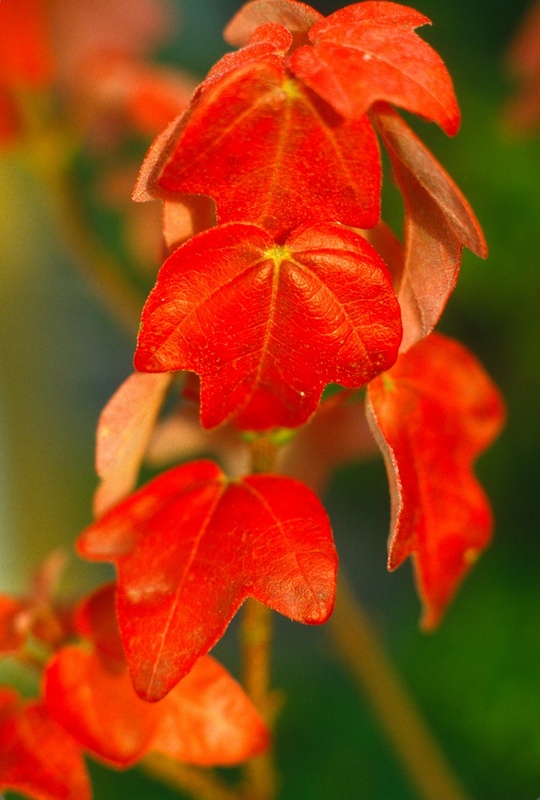 Young shoots are reddish in spring, leaves turn to green by summer, then scarlet red is the highlight for fall. 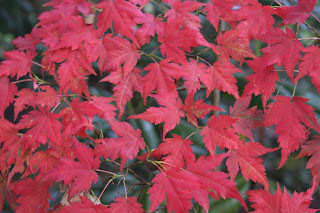 Unfortunately it is less winter hardy than those from Japan. 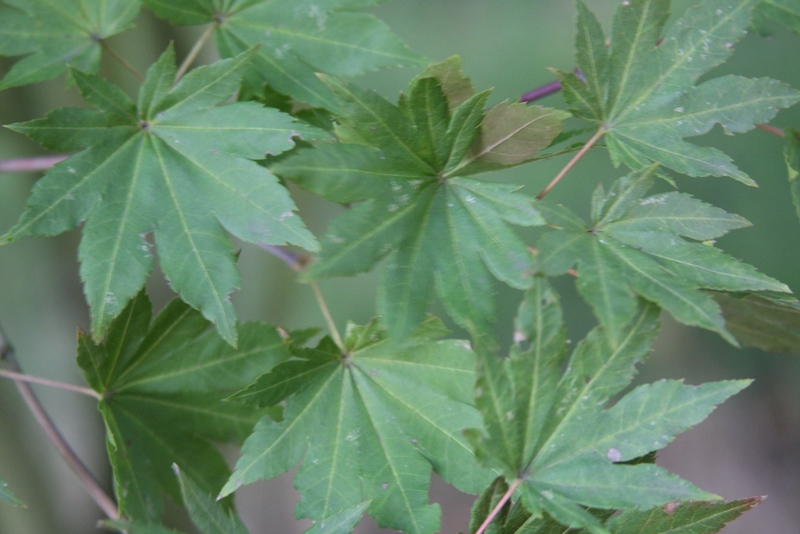 Acer campbellii is an eastern Himalayan species, but some subspecies occur in China. It was named for the Scottish explorer and botanist Archibald Campbell. 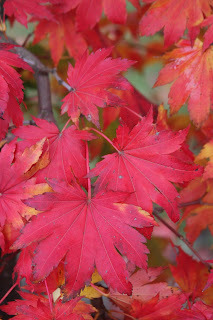 Beaulieu's An Illustrated Guide to Maples claims Campbell was English, a serious affront to anyone born in Scotland, and Campbell eventually acquired the office of Usher of the White Rod. 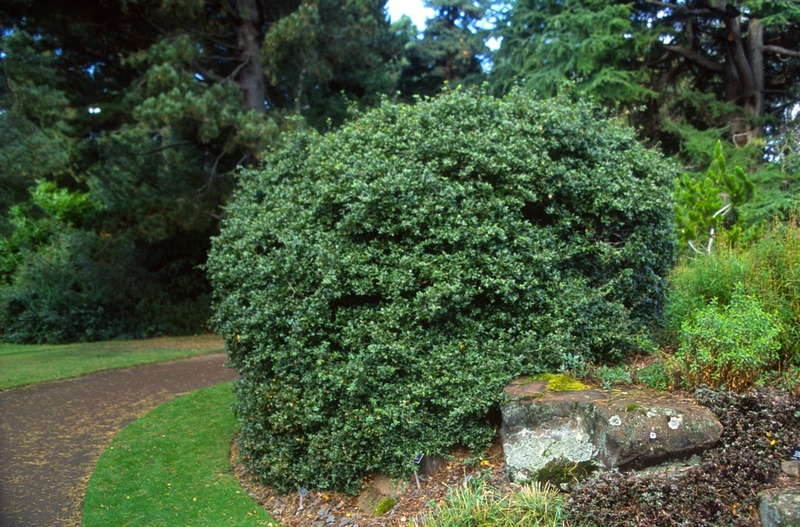 Of course he paid nearly a million dollars in today's money for the title, which is Scotland's equivalent to the holder of England's Black Rod, the dude who raps on the door of the House of Commons and demands entry for the monarch. 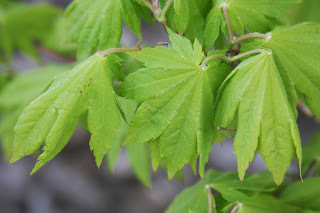 Acer campbellii is not common in horticulture because it is not very winter hardy (USDA zone 7 or 8), and because it can grow to over 50 feet tall. 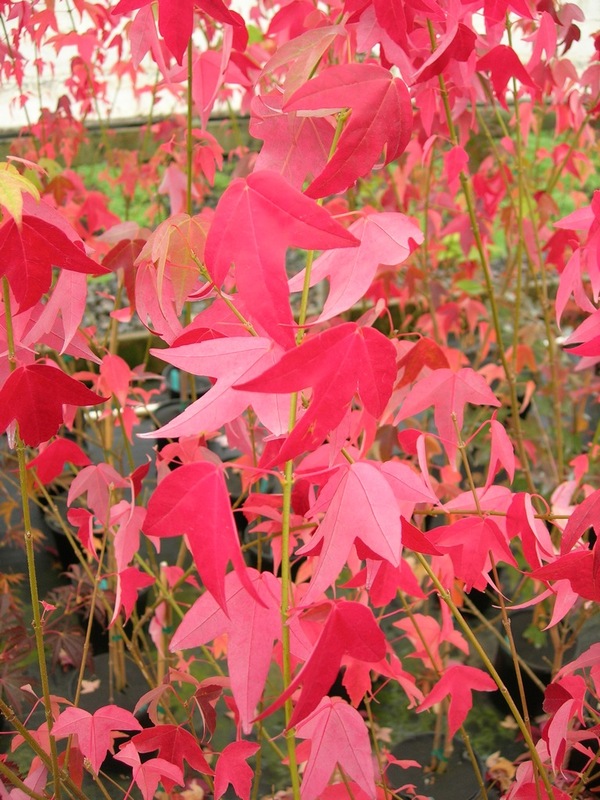 The cultivar 'Exuberance' is not so large, and features bright red and purple on spring leaves. 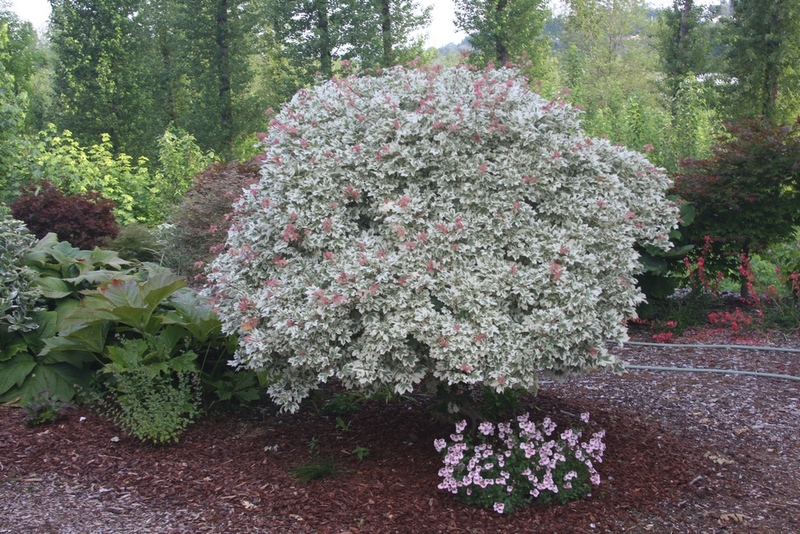 A curious dwarf is 'Boney Fingers', introduced by the late Bill Janssen of Washington state. 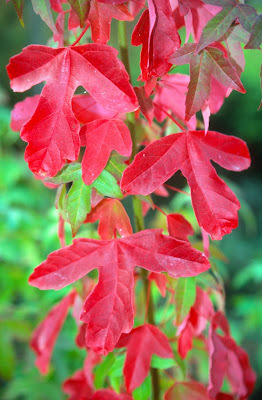 Whether or not it is truly the species campbellii, or a hybrid, I do not know. 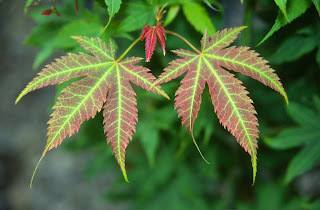 But 'Boney Fingers' can be propagated by grafting onto Acer palmatum, like the campbellii species, and it has proven more winter hardy with the palmatum rootstock. 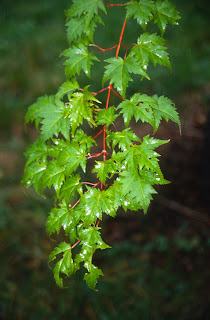 Acer oliverianum will also graft onto Acer palmatum, and its appearance (to me) is similar to Acer campbellii. 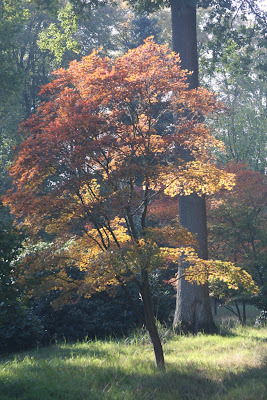 It was named for Daniel Oliver who worked in the herbarium at RBG Kew. Oliver published three editions of Lessons in Elementary Biology which were used in schools and for young people outside of the classroom. I shopped the third edition once but decided not to buy, as I'm not really botanically inclined,…AKA lazy. 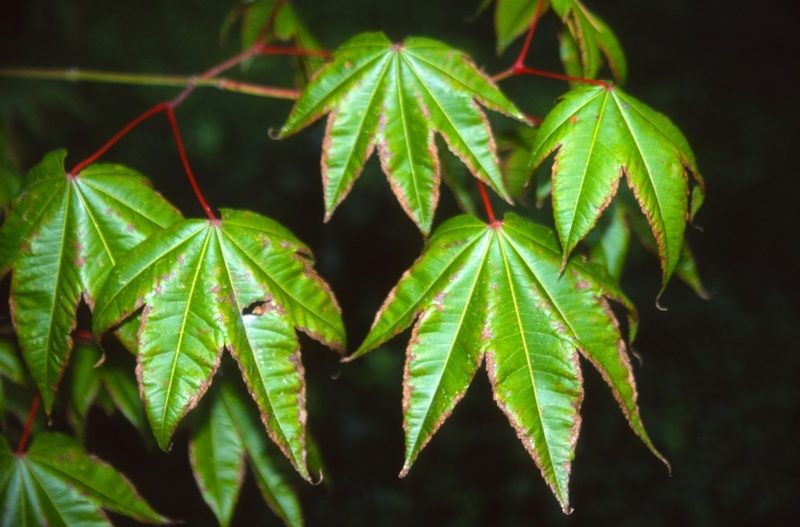 Acer oliverianum was discovered by Augustine Henry (more later) in central China, and then introduced by E.H. Wilson for England's famous Veitch Nursery. 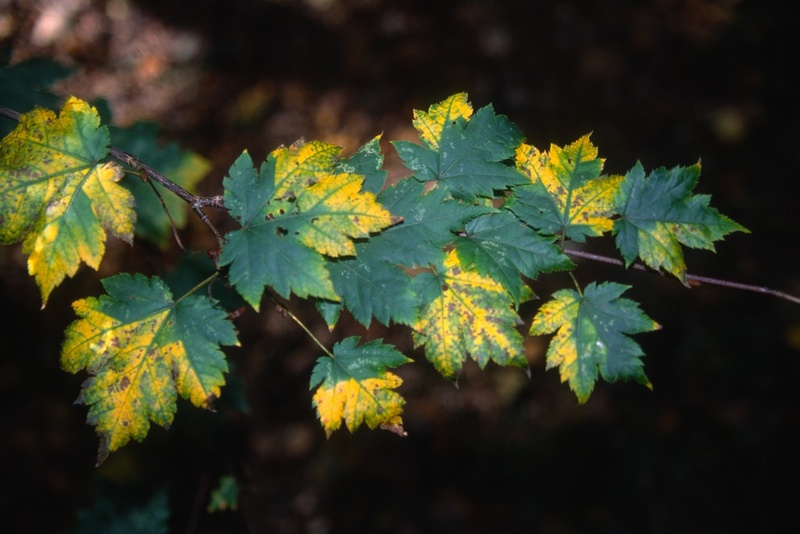 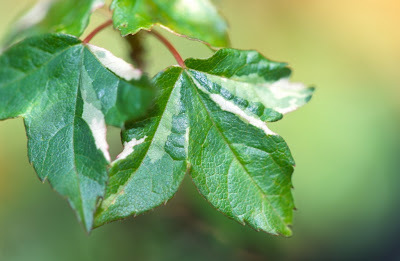 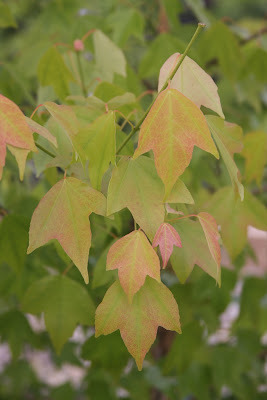 The species is hardy to USDA zone 6, and it makes a colorful small tree – with light green new shoots contrasting with older, darker mature leaves. 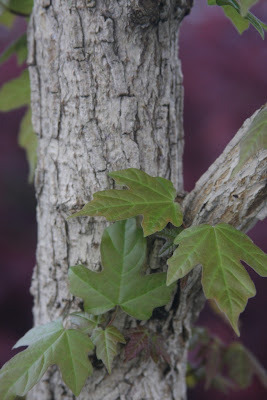 I've had an oliverianum specimen live for twenty years without problem; which is probably not the subspecies formosanum from Taiwan, a tree that can attain a larger size. Ferdinand Albin Pax first described Acer oliverianum. 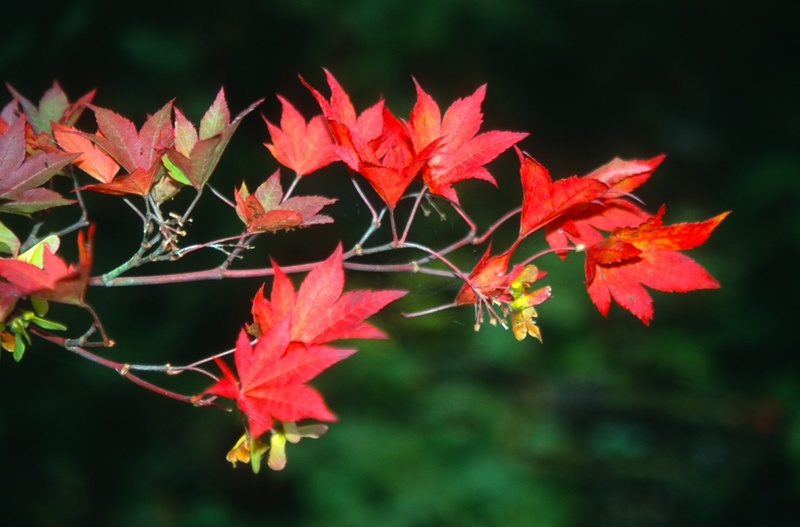 He was a German botanist and entomologist (the study of insects), and he eventually had a maple species name bestowed upon him. 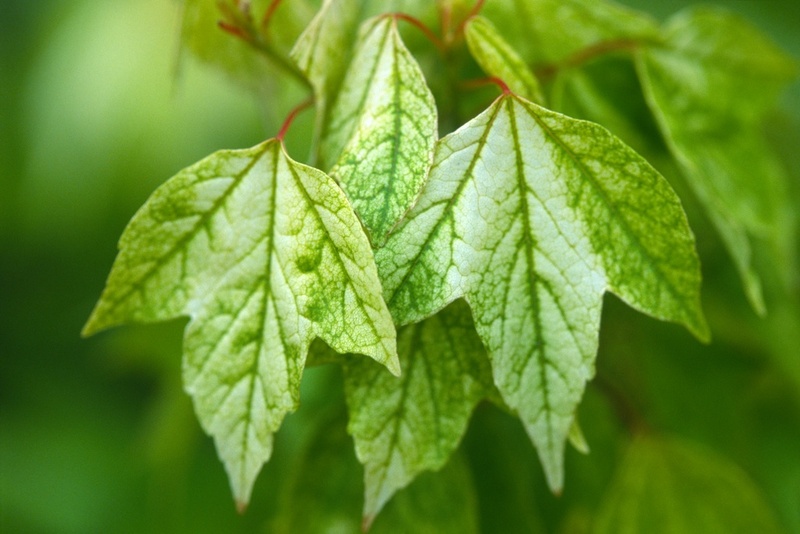 Acer paxii is very different from oliverianum, for it displays small evergreen leaves. It is in the section Pentaphylla, the same as Acer buergerianum, and is native to Yunnan, China. 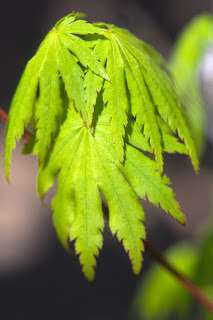 In appearance it reminds me of Acer sempervirens, although they are not so similar botanically. 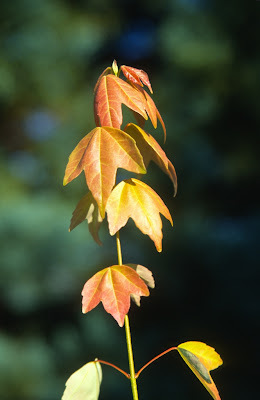 Sempervirens is the "Cretan Maple," from southern Greece and Turkey, and it survives easily in Oregon, while paxii does not. 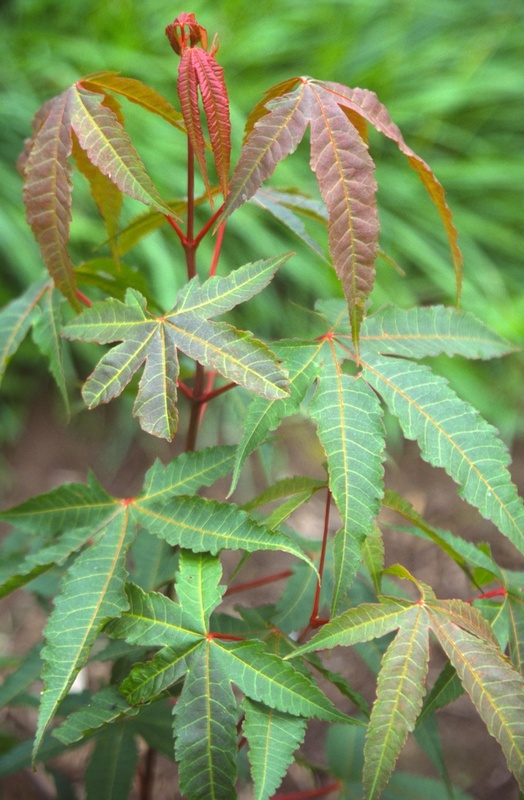 Acer henryi was discovered by the Irishman, Augustine Henry in China, and was also introduced by Wilson for Veitch Nursery. 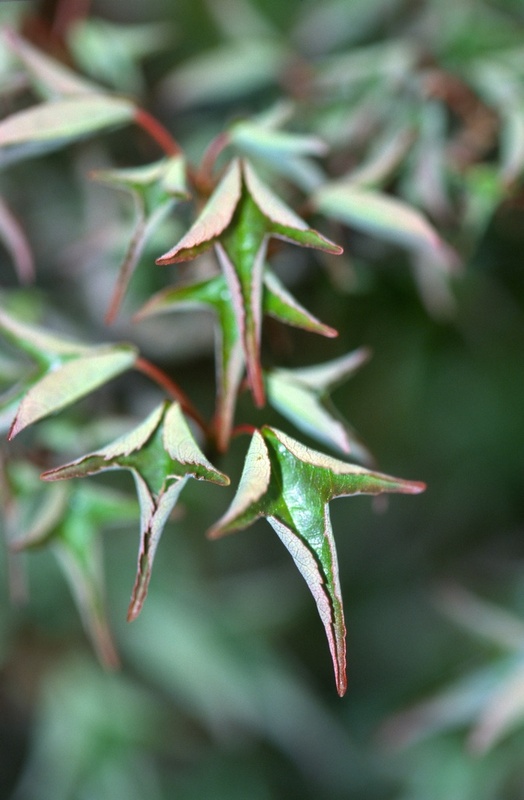 The German, Pax, was the first to publish a description (what a tangled web these botanists!). 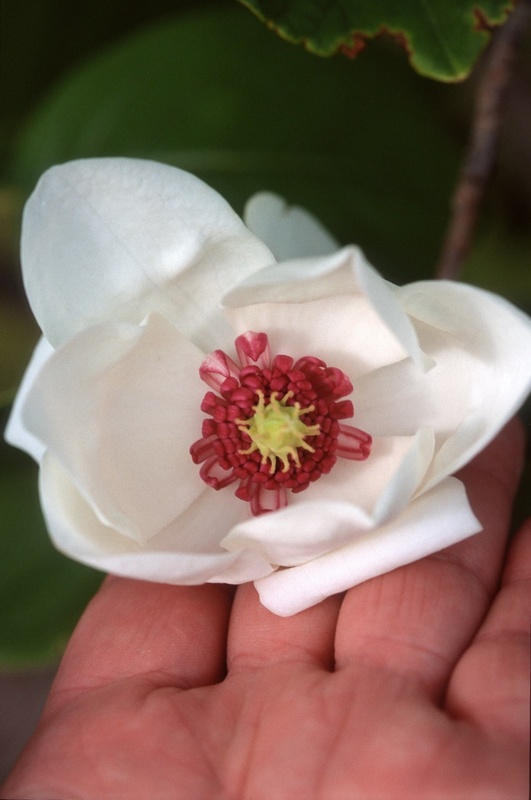 Henry spent twenty years in China, and did as much as anyone to make known the country's floral abundance. It was no picnic for Henry…toiling in the interior, suffering from malaria, dodging the consequences of political unrest and, ultimately, the death of his first wife. 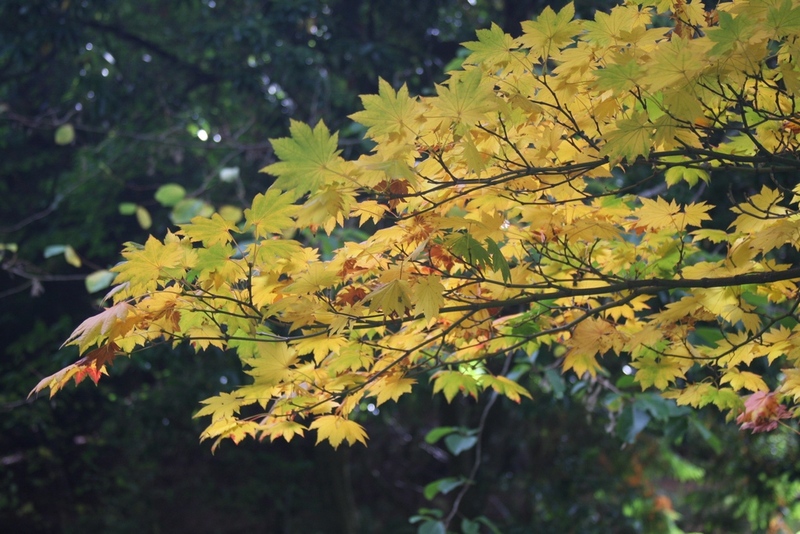 The trails and terrain were terrible and dangerous, but at least he was supported by his Chinese assistant named "Old Ho." Henry was energetic, but did employ Chinese helpers who aided in the collection of plants used in Chinese folk medicine. Later he turned to ornamental plant collection, and sent to RBG Kew about 150,000 dried specimens, which included 5,000 new species. 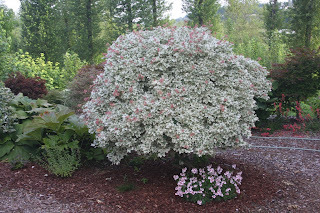 Clematis henryi and Rhododendron augustinii are two plants that bear his name. 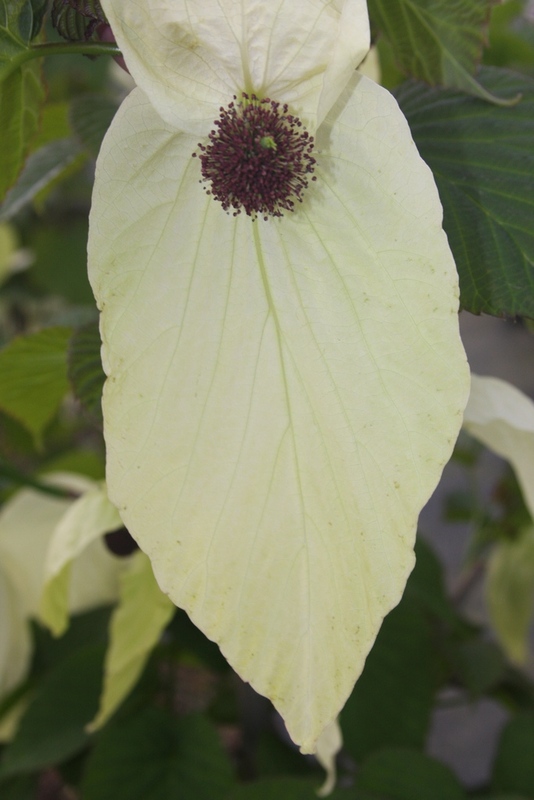 Henry wasn't selfish either, for he encouraged other botanists and collectors; in fact he is responsible for Kew's mission to send E.H. Wilson in search of the "Dove Tree," Davidia involucrata. 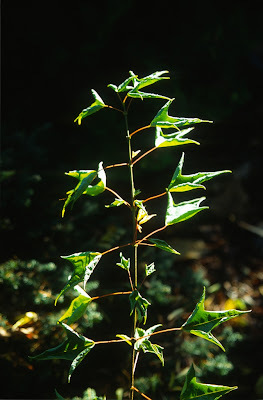 The best concise summary of Henry's botanical life was presented by E. Charles Nelson, a taxonomist at the National Botanic Gardens in Dublin, which I read in Arnoldia, the publication from the Arnold Arboretum of Harvard University. 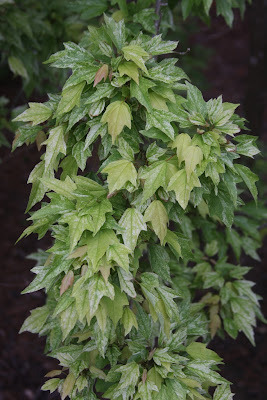 But alas, I don't grow Acer henryi anymore. It was a tough sell, even though it is an attractive small tree. My form of henryi was introduced by E.H. Wilson, and it had three entire leaflets that were glossy green, and it's no surprise that henryi is in the section Negundo. I had to cut down my one oldest specimen, for it was crowding other ornamental trees of greater value, but at least I know where I can acquire more. 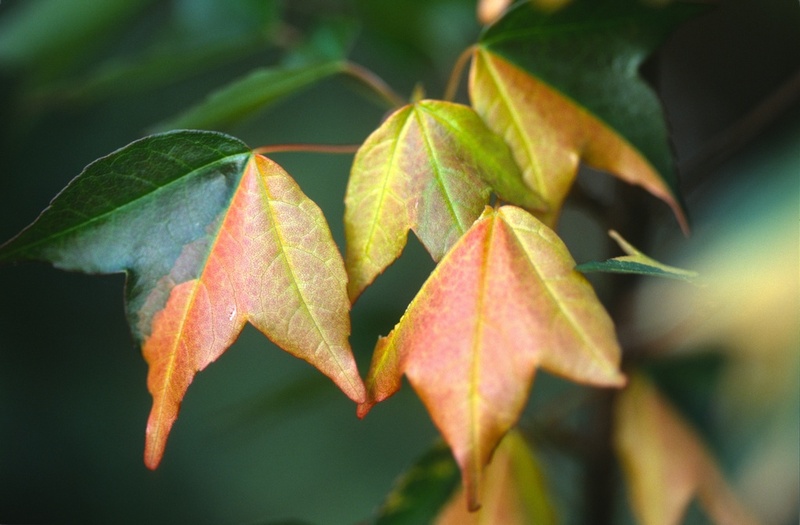 Kingpo Miyabe was a Japanese botanist, and lived from 1860-1951. 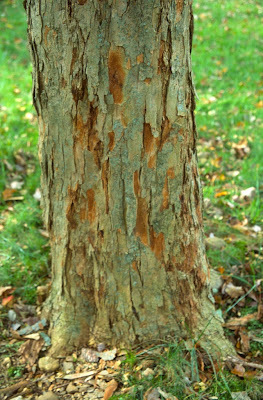 He was honored by Maximowicz for Acer miyabei, a nice species of medium size, and notable for a gray brown corky trunk. 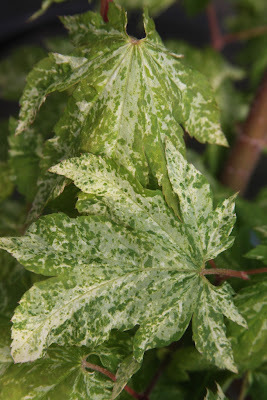 This species was also a tough sell, and the last two of my large specimens were top-grafted with Acer campestre 'Carnival', to which it is closely related. Acer miyabei is from Northern Japan, while subspecies miaotaiense is endemic to southeastern China. 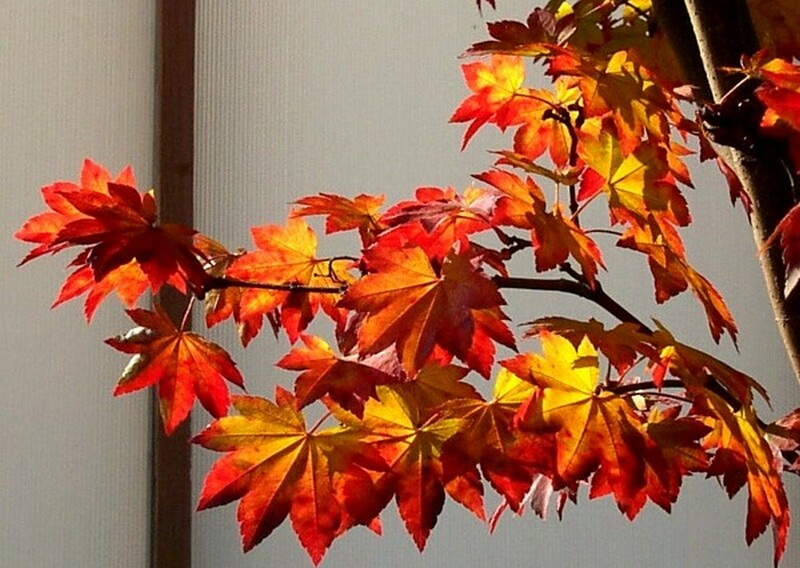 Acer miyabei is supposedly an endangered species, but you don't have to look too hard to find it in the trade. 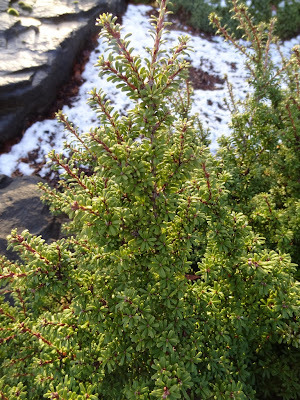 In fact, a cultivar was introduced by the Morton Arboretum of Chicago, which attests to its winter hardiness. 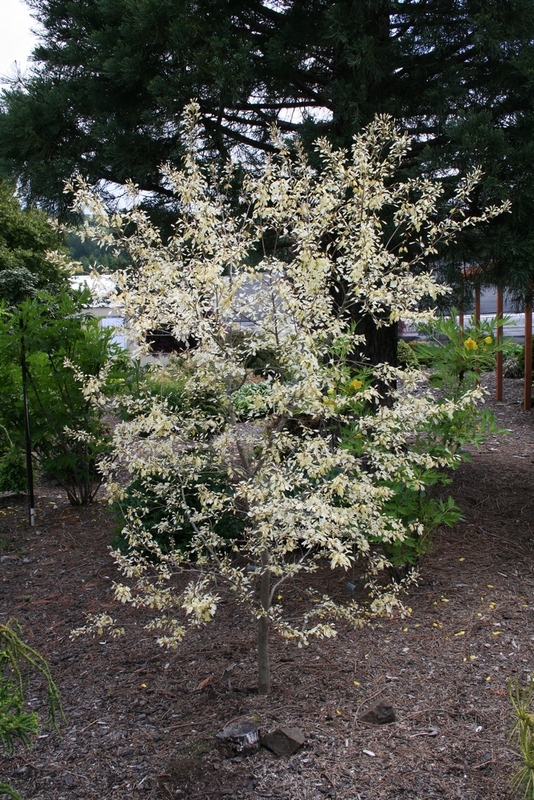 'Rugged Ridge' was introduced by a large Oregon shade-tree company, but it varies little from the type as far as I can tell. 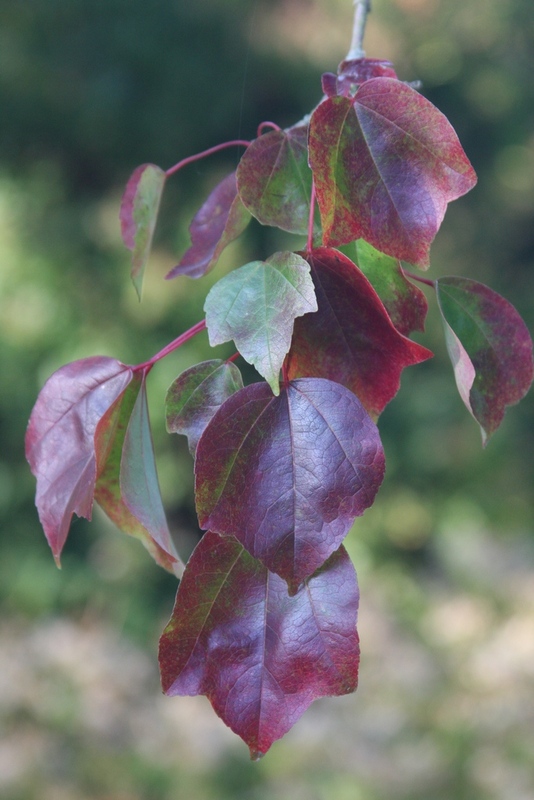 Marketing ploys are responsible for quite a few of the newer "cultivars." 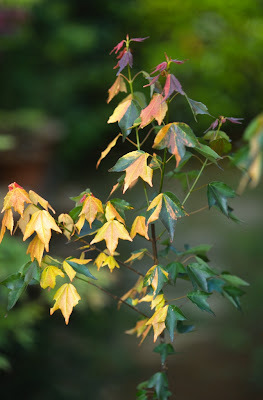 Acer miyabei crossed with Acer cappadocicum 'Aureum', known as Acer x hillieri 'Summergold', is a worthy introduction, and I have seen it at Hillier's Arboretum in England. 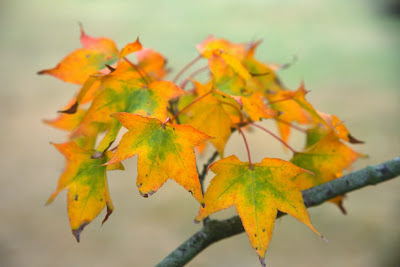 Unfortunately I can find no information about Kingpo Miyabe himself, at least in English. 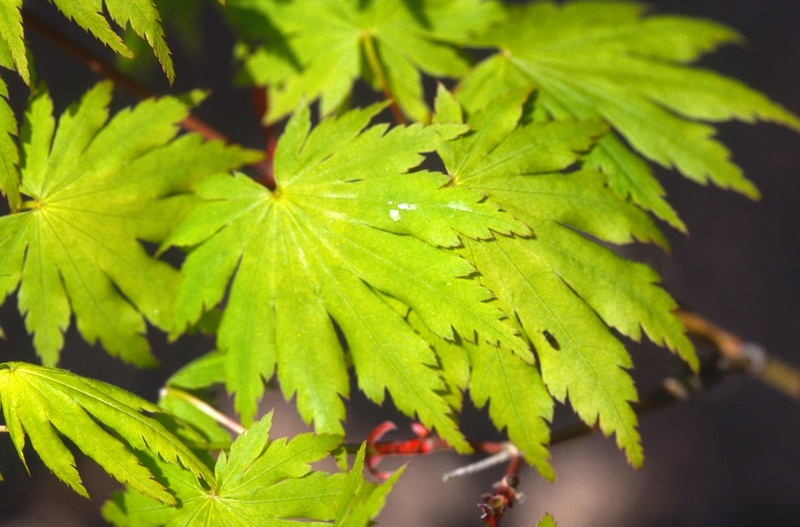 Tschonoski Sukawa—now there's an odd first name for a Japanese botanist—was a collector assistant for Carl Maximowicz, but his first name was also spelled Chonosuke. Note that both men changed their names for their botanical careers, though I don't know why. 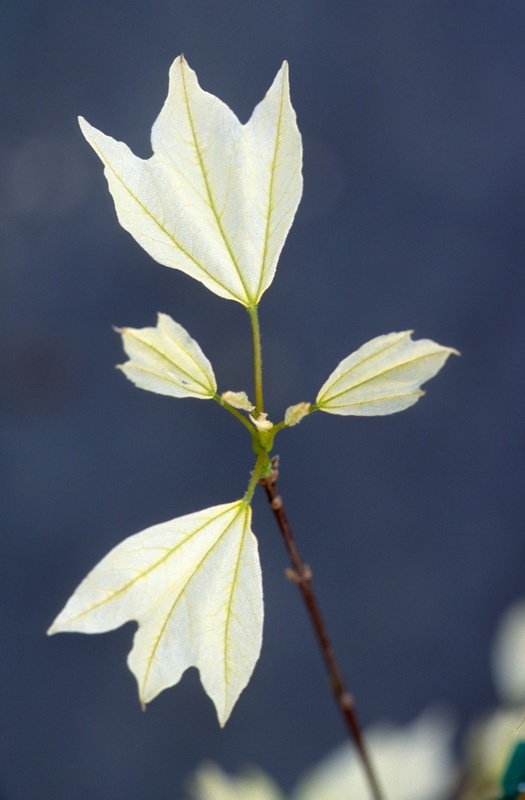 I had previously assumed that Tschonoski (hard for beginners to pronounce) was another Russian botanist. 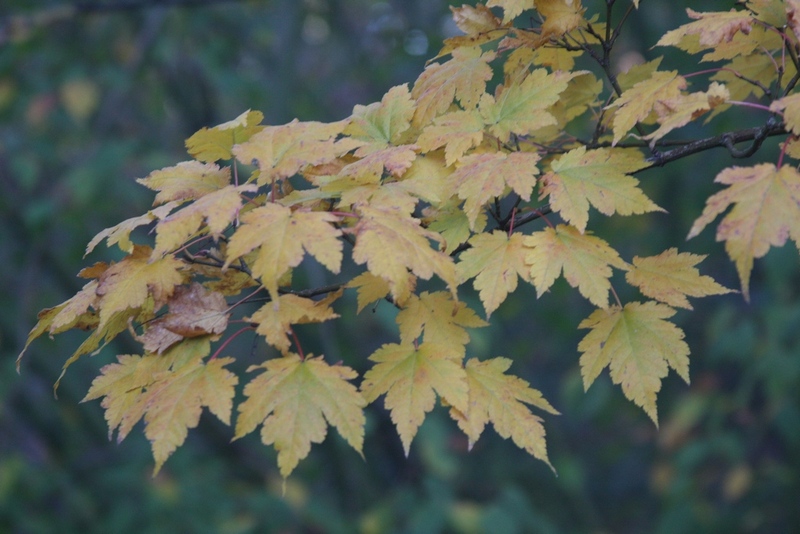 He continued to send plants to Russia after Maximowicz returned to St. Petersburg, and was rewarded with a number of species names. 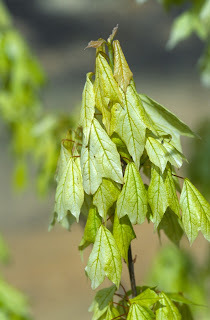 Acer tschonoskii is a member of the section Micrantha, as is the similar species Acer micranthum, except that tschonoskii features upright seed while micranthum displays drooping panicles, otherwise I couldn't tell the two species apart, but then I'm not a botanist. 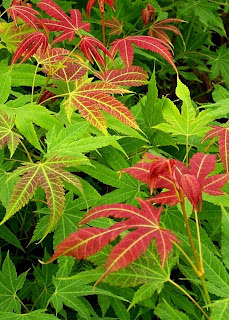 Both make excellent small garden trees, though they are not widely available, and can be propagated from seed or by rooted cuttings in summer under mist. 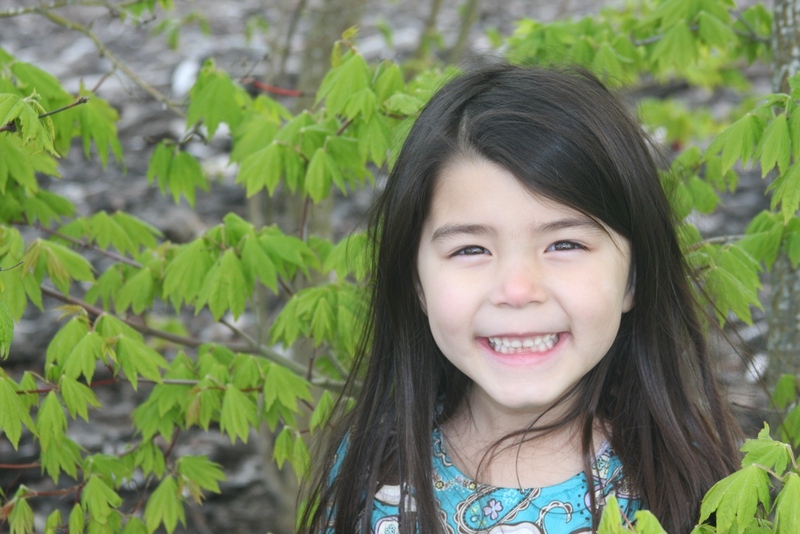 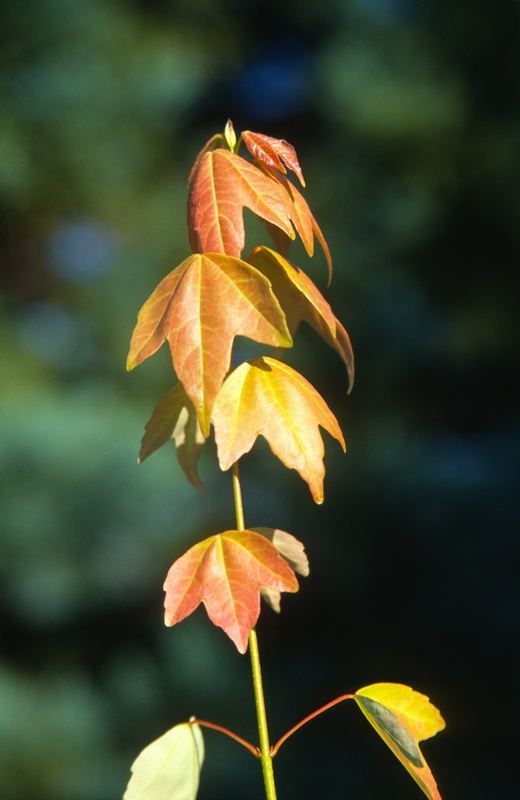 I'll conclude Maple Species Named for People with Acer sieboldianum, named after Philipp Franz Balthasar von Siebold, a German physician and Japanese traveler. 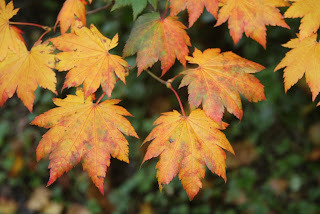 He was born in 1796 into a family of doctors, and when young he read the books of Alexander von Humboldt, the famous explorer (as I also did). Siebold had an itch to travel to exotic lands, and chose to enter the Dutch military service. He was appointed ship physician and sailed to the East Indies. Later he was sent to an island off of Japan which was created for trade, as the Japanese at that time were understandably leery of westerners. Siebold became the head physician of the trading post and eventually was allowed to move further into Japan. Over the years he fathered a couple of children with two Japanese women, and who could blame him? My hobbies are also exploration, plants and Japanese women, although I'm steadfastly true to my current wife. Siebold's interest in the flora and fauna led to collecting, often with the help of his assistants, and he sent plants back to Europe. Many of them were named after him, such as Acer sieboldianum, Magnolia sieboldii and Tsuga sieboldii. 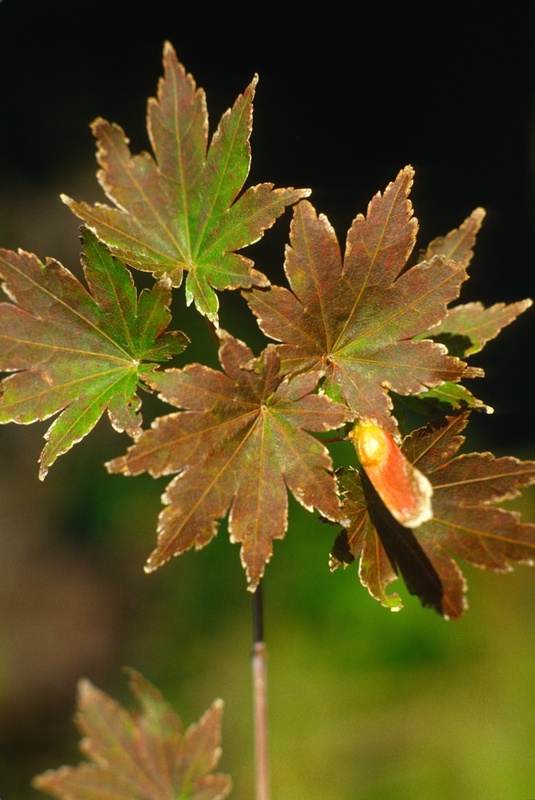 Acer sieboldianum occurs on all four of Japan's main islands. 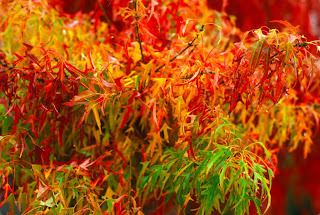 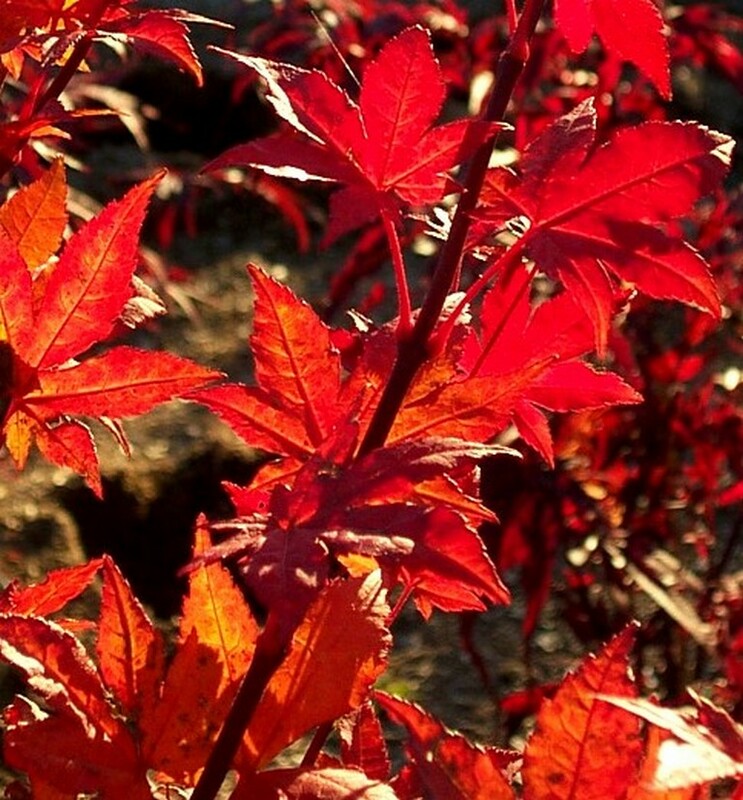 It is similar to Acers palmatum and shirasawanum in appearance, with fresh green spring and summer foliage, followed by intense scarlet red in fall. There are not nearly as many cultivars of sieboldianum as with palmatum and shirasawanum. 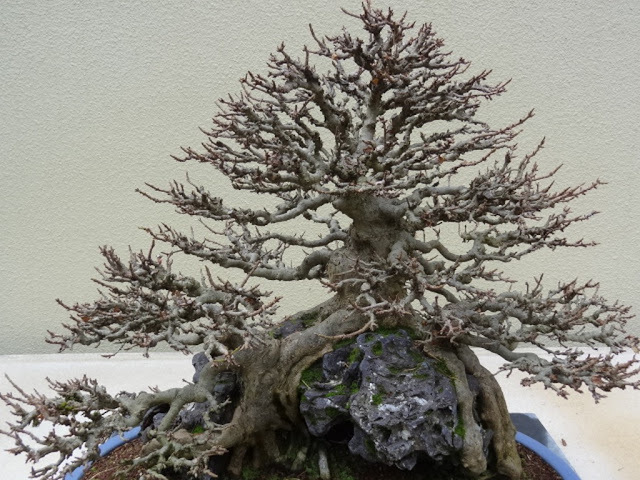 I have seen, but do not have 'Isis', 'Microphyllum', 'Mikasa nishiki' and 'Mikasa yama'. I do grow 'Kumoi nishiki', a colorful and dependable cultivar. We also grow 'Sode no uchi', but the Japanese (Yano, anyway) consider that to be a tenuifolium cultivar, although "tenuifolium" as a species is not even mentioned in modern reference books. Acer pseudosieboldianum is of course similar to sieboldianum, except that it is native to Korea, and is at least one zone (4) more hardy. 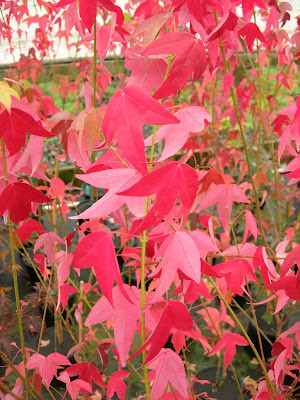 Pseudosieboldianum has leaves slightly larger as well, but displays the same intense autumn color. 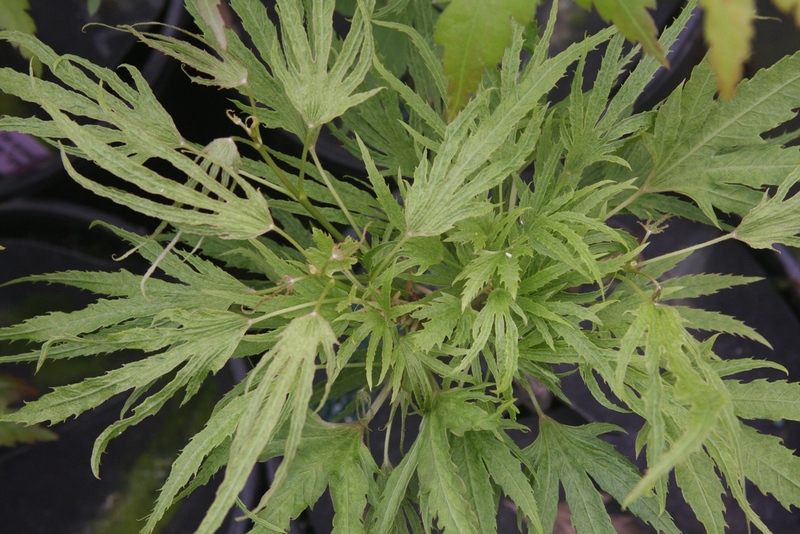 I know of no cultivars, but I have been involved in grafting palmatum cultivars onto psuedosieboldianum rootstocks. The intent was to harvest seed from these plants, which might produce offspring more winter hardy. 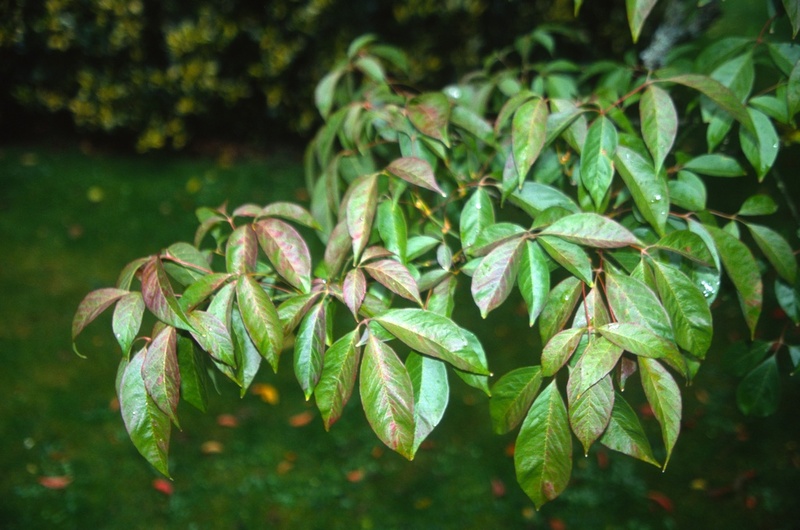 The palmatum cultivars would then be crossed with Acer pseudosieboldianum, creating new hybrids which might have similar ornamental characteristics as the palmatum cultivars. The scientist involved has disappeared from my sphere, so I don't know what became of my efforts. 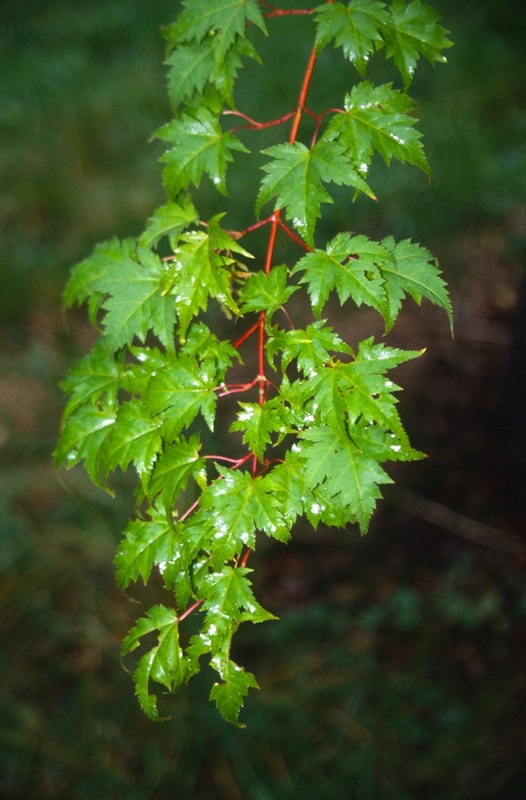 Acer pseudosieboldianum ssp. 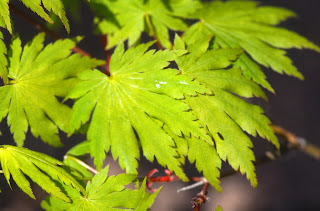 takesimense hails from Takeshima in South Korea, but I don't know of any reason to create a new category for it, except that it is probably less hardy. 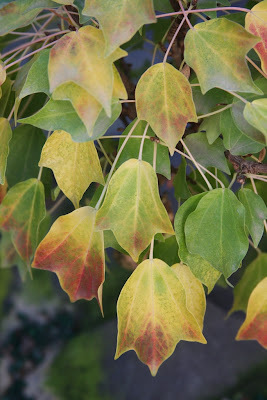 The botanists featured above are certainly an interesting lot, and all of them lived very different lives from that of a wholesale nurseryman, such as myself. 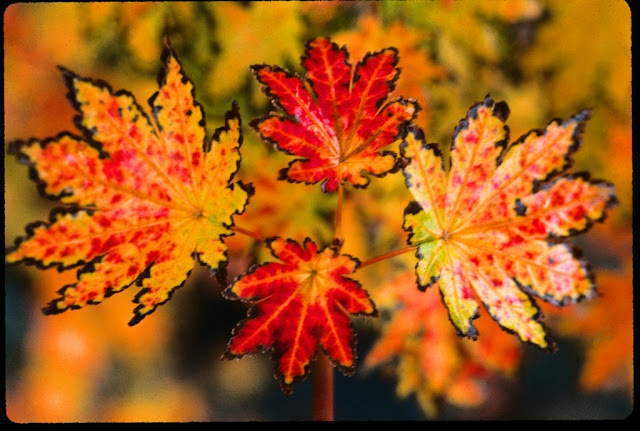 What they accomplished mattered, mattered to the advancement of the understanding and documentation of our natural world. 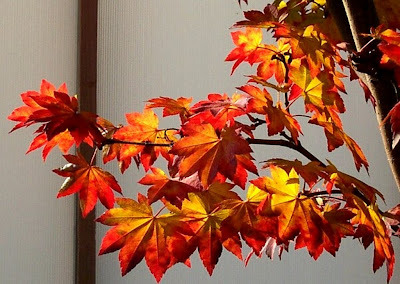 Perhaps some were jerks in their personal lives, but they accomplished far more in their careers than most of us ever will. 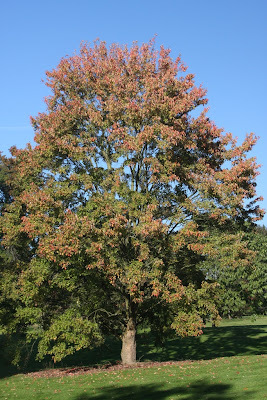 So appreciate these men when you see the trees they analyzed. 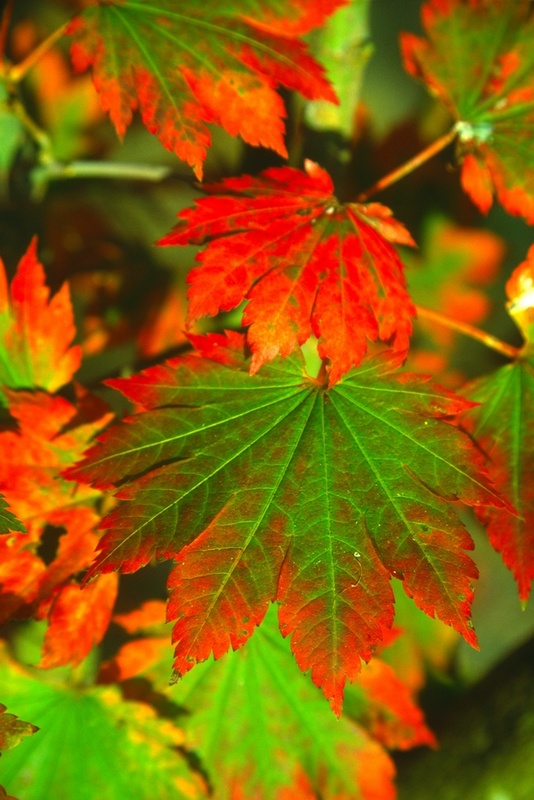 Wouldn't it be great if they could come back from the past – one at a time, preferably – and see a world class maple collection. Such fun it would be to learn from them.